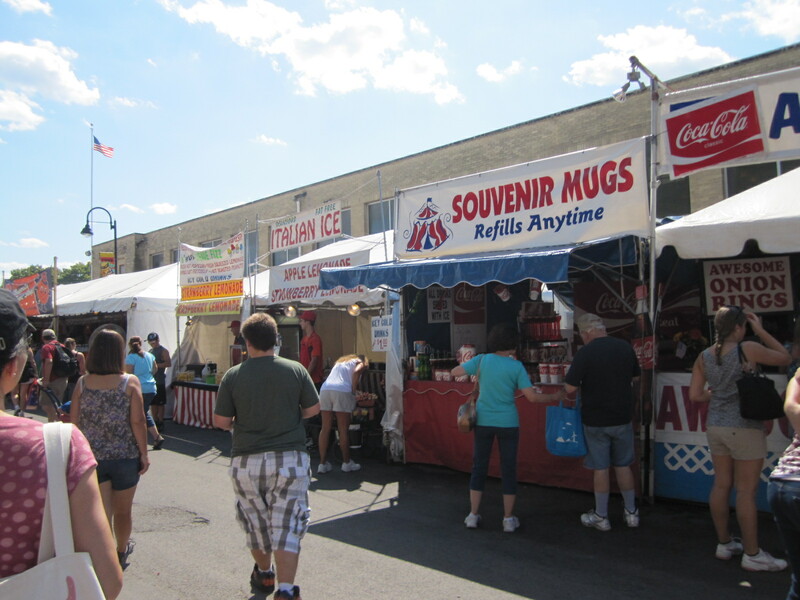 Another first this labor day weekend was a trip to the great New York State Fair. 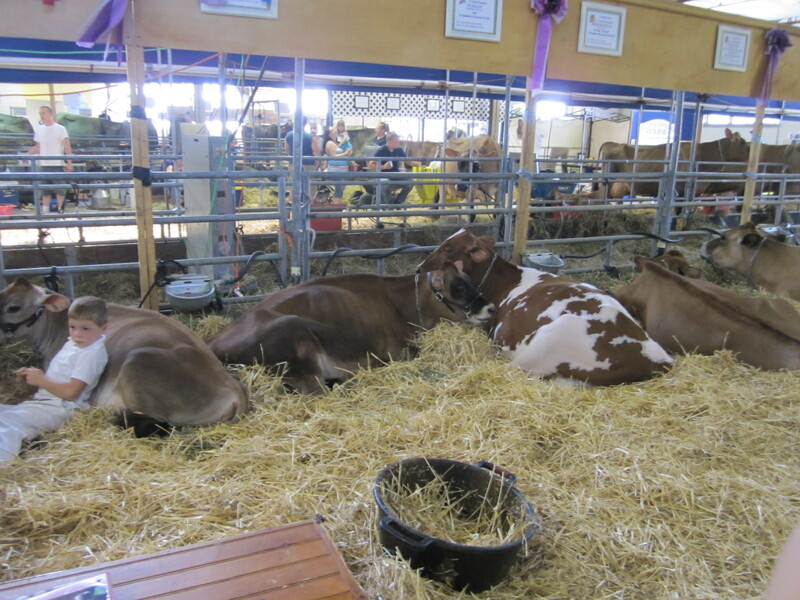 I had heard that the NYS fair was good but had never had the opportunity to go. You really have to experience it for yourself. Not only for the food, but also for the bunnies, cows, crafts, concerts, and activities. There were so many animals… cows, sheep, bunnies, chickens, other fowl, goats, and on. lionhead bunny! 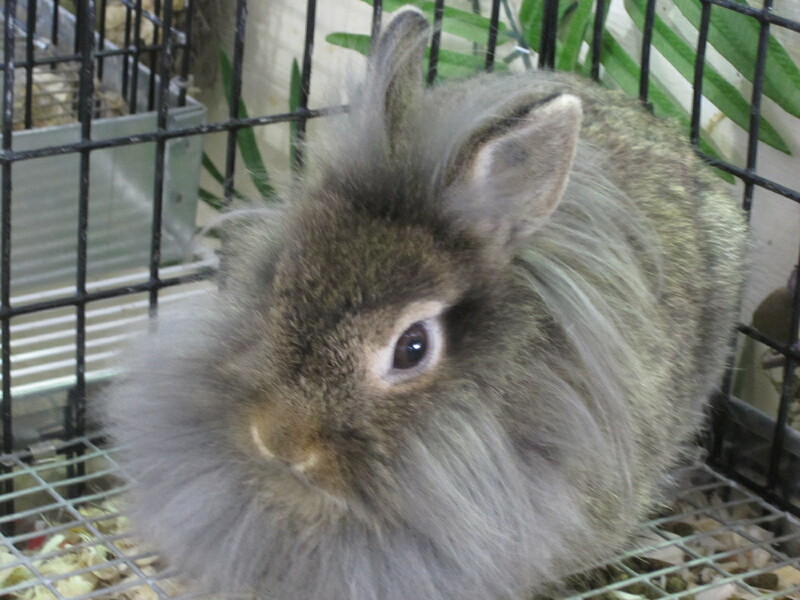 there was this poster outlining how the lionhead bunny is a result of a mutation in ‘x’ gene and how it’s recessive so that means xyz… these people are serious about their bunnies! I don’t really understand how they’re able to walk around with such udderly big udders. And it is a bit strange to actually see where your milk comes from… It’s so removed from the cow in a gallon jug that it’s easy to forget it ever came from an animal. I don’t think that’s really a positive for our food system. 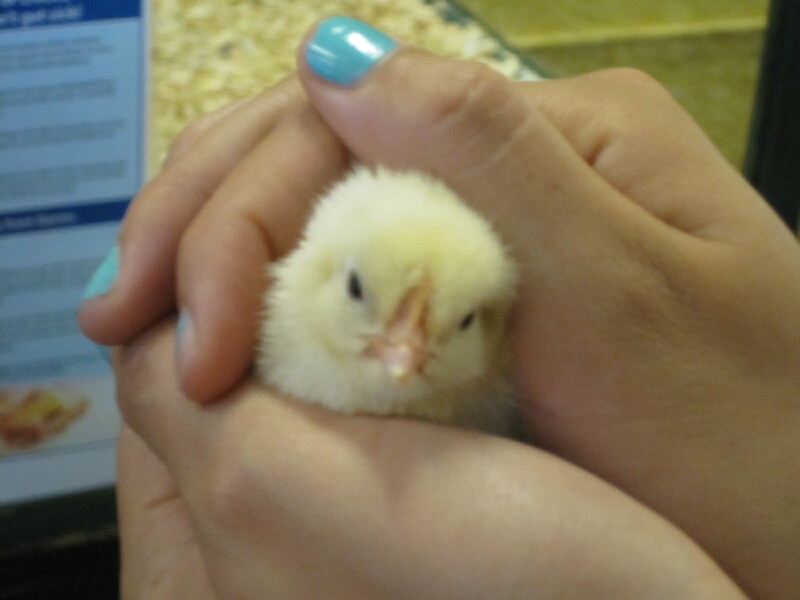 I got to hold a chick at the 4-H booth! 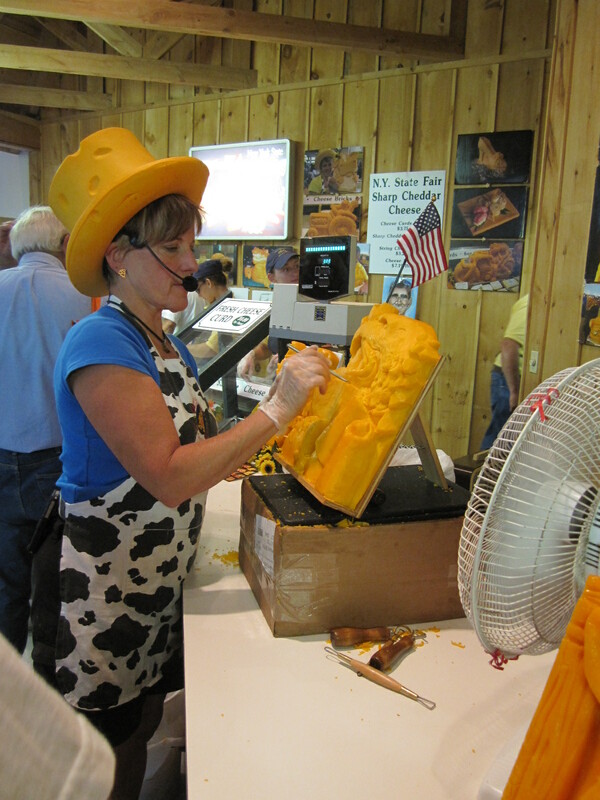 There was a cheese carver and cheese samples. 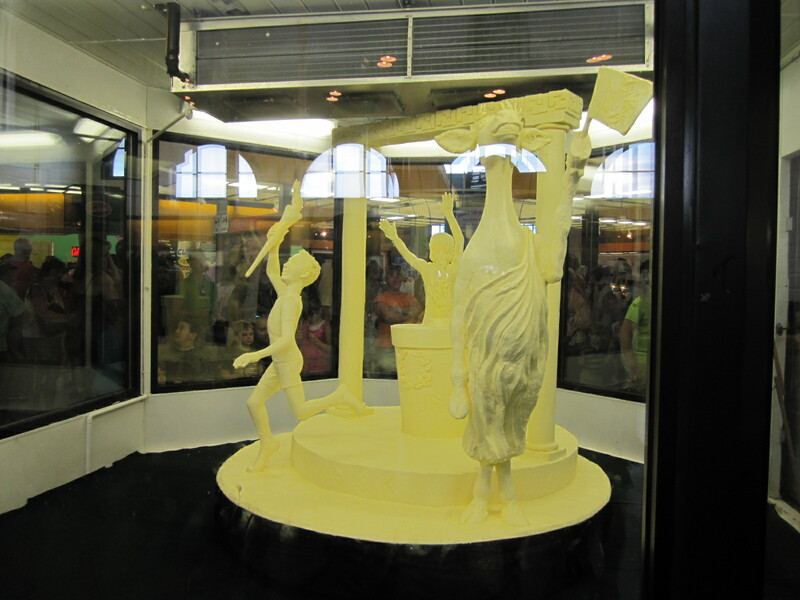 The butter sculpture in the ‘dairy products’ building. They had I ❤ Milk for sale for 25 cents and lots of ice cream. We ate gyros, bloomin onions, ice creams, and fried clam strips. 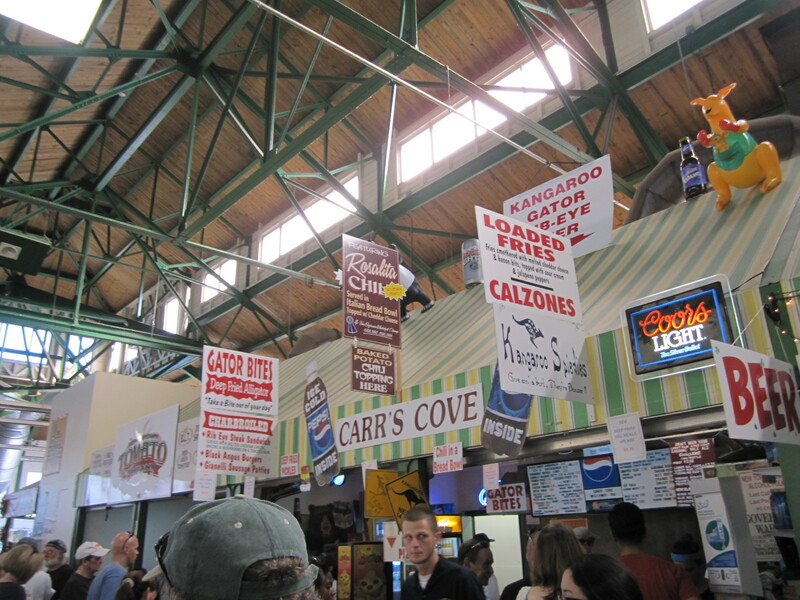 The food was inescapable and any type of fair food you could ever dream of from roasted corn and wine slushies to chocolate covered bacon and $1 baked potatoes (the line for which is literally 100ft). 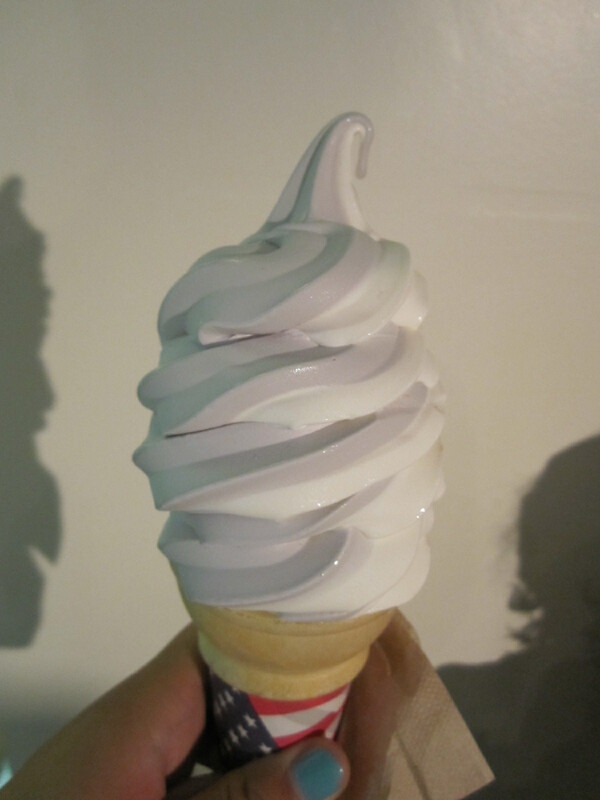 The maple soft serve was so rich and creamy your tongue was swimming through it and I love any blackberry flavored ice cream. 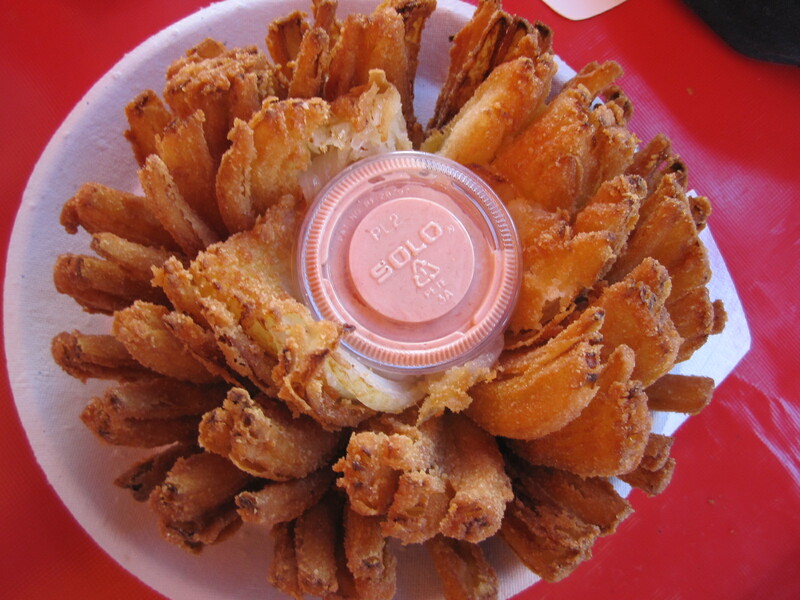 You could go to the fair everyday it was open and not eat the same thing twice. 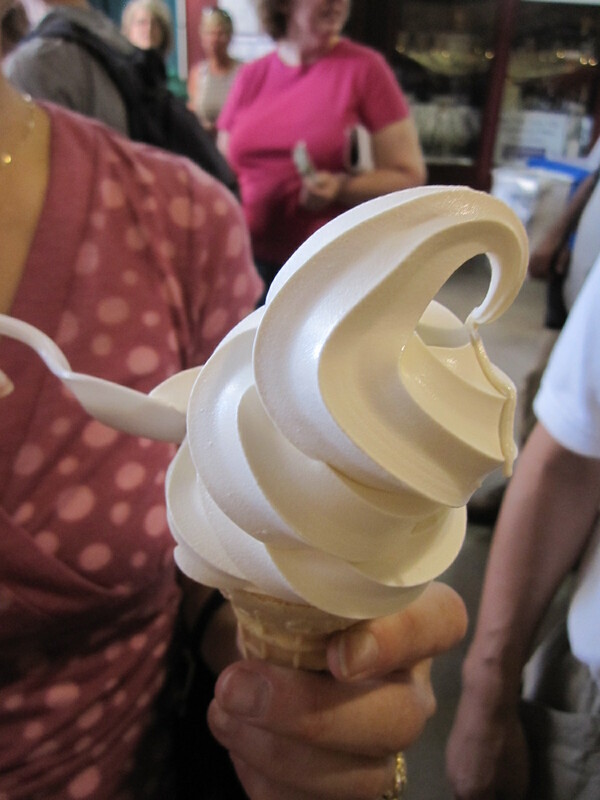 Plus, some of the prices are actually reasonable like a $2 soft serve at Byrne Dairy. At the other end there’s the $9 gyro that’s still delicious. There are also free concerts every night. The Band Perry was playing the day we went and I was so excited because I was obsessed with “If I Die Young” at work literally the week before. Unfortunately, the concert started at 8pm and after being there since noon the rest of my family was to tired to stick it out so I didn’t even get to hear them play it. They have other ‘headliners’ as well like monster trucks and the demolition derby which I’ve heard is quite the amusement. Good ole Amurica, running cars into each other till they die. Overall, it’s like a better fun, more diverse, cheaper, temporary, amusement park. Parking is a breeze with a bazillion shuttle buses running around. The worst part was the lines for the women’s bathroom… It really was quite the experience with such a seemly unrelated set of experiences: pigs, the Space Roller, funnel cake, and demolition derby? In any other place it would make absolutely no sense, but at the NYS fair it’s all just right. i think these are guineas? can you tell i like bunnies? dad: “these are real! no really, I saw one move!” so fake. 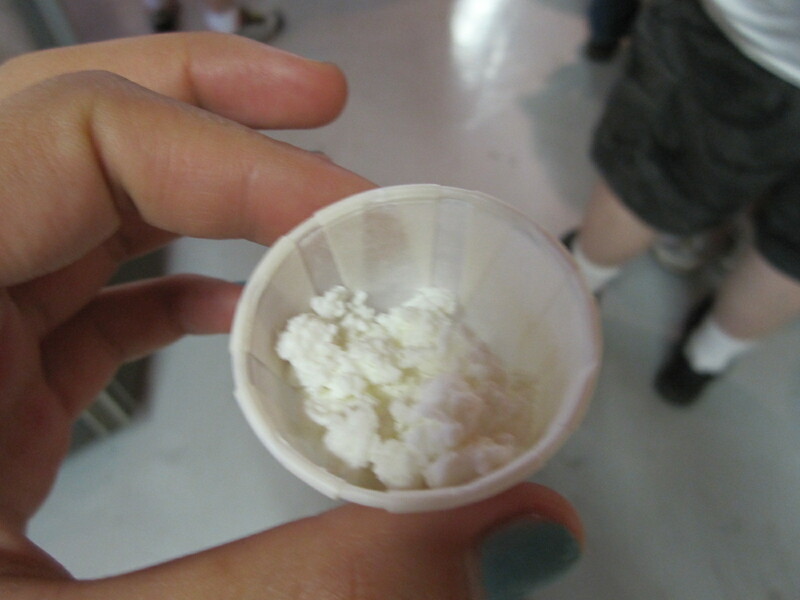 Fermentation: Science Meets Food in the NYT!